Hi. LadyFlayer checking in again just to let you know I’ve reached level 34. Wow that was quick. These mandatory quests are really great! You can see my new armor and I have a new axe with a handle to match the feathers on the armor. Posted in: Ether Saga, Support Questions. Apparently server status doesn’t work. Which is ok if you know to look in the General Discussion of the Forum and ignore this. At this time the servers are down for maintenance. Posted in: Jade Dynasty, Support Questions. 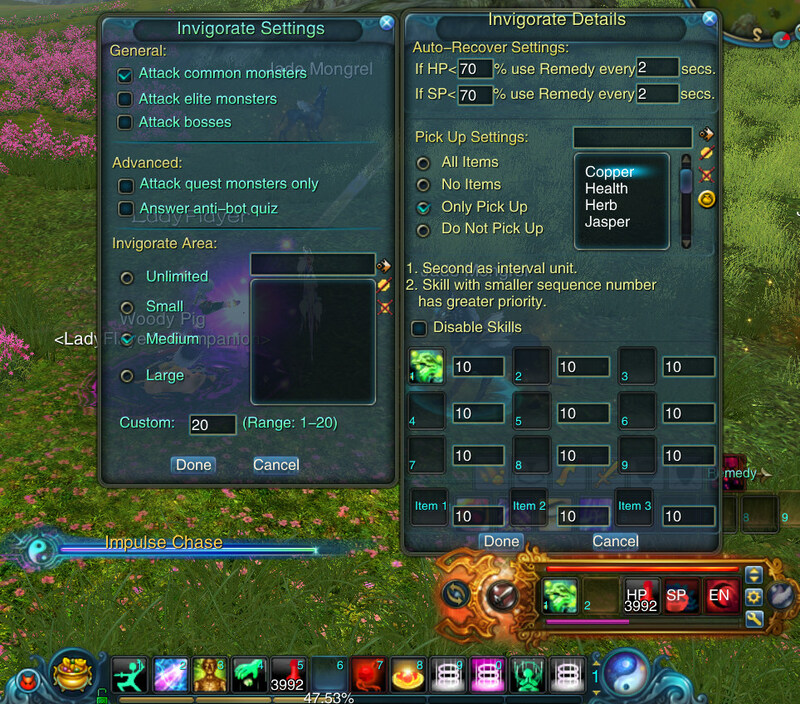 I’ve got invigorate running with my Esper. And it seems to be working, but I don’t seem to be able to activate my skills in the Esper. I’ve opened the Invigorate Details and tried to drag my Hard Blow to the panel, no luck. The Esper skill Impulse Chase is there, but I can’t seem to figure out how to activate my Hard Blow and Ordeal skills so that the Esper will activate them. Drag the skills to the 4th and beyond popup skills bar. Click the arrows at top right of Esper bar to see this list.